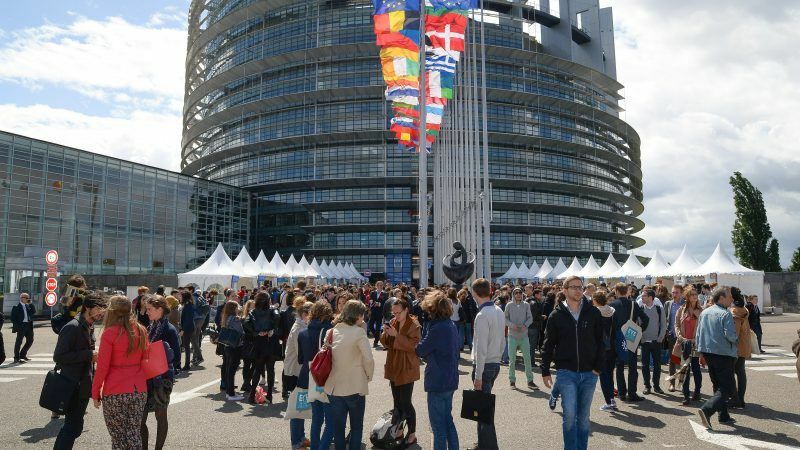 With populists trying to impose their agenda on the back of disinformation, the European Parliament is trying to reach out to the young, particularly those who don’t see the benefits of being part of the EU, write Ramón Luis Valcárcel and Sylvie Guillaume. Ramón Luis Valcárcel and Sylvie Guillaume are Vice-President of the European Parliament in charge of Press and Citizen Relations. Of all the generations of Europeans, the current young generation is the most pro-European. It is not a coincidence: almost 70% of them view being part of the Union as positive, according to the latest Eurobarometer survey. Most of them grew up, were educated, and made their life plans while making the most of the advantages that European citizenship conveyed, such as the right to study and work in more than twenty different countries, and are aware that their fundamental rights and freedoms are protected throughout the EU. However, youth support does not necessarily translate into active democratic participation. The interest shown by 15 to 24-year-olds in the European elections remains significantly lower than that of their elders, and few of them know that the next elections will take place in less than a year. This is a concern for those of us who represent them in the democratically elected European Parliament. Especially as this is not just a random snapshot but provides further confirmation of a recurring phenomenon. We should not forget that during the last European elections in 2014 the greatest level of abstention was among young people, although they, too, displayed a more positive view of the Union. At a time when populists backed up by powerful means of disinformation strive to breathe life into sentiments that undermine the values that define us as Europeans (respect for human rights and fundamental freedoms, tolerance, equality, pluralism, non-discrimination, etc.) European democracy needs to reach places it normally finds difficult to access. By this, we mean populations living in conurbations far from urban centres, underprivileged sections of the population and young people without a university education. While it is true that nine million people have benefitted from the Erasmus programme over the last three decades, it is equally true that a great many others have not had that opportunity. And while Erasmus has become the best tool to foster a sense of belonging to the EU among its citizens, and has increased the chances of success for young people in the labour market, the EU institutions are also working to extend it to all young people, whether or not they are studying at university. For example, by extending it to vocational training and volunteering, it has also recently been allocated a greater budget. The aim is to offer everyone the same opportunities, regardless of their level of education and their aspirations. As is already the case with the extension and the replacement of the Erasmus+ programme, communication by the institutions should also adapt to the social reality of the Union – mainly the perception that young people, who are digital natives, have of the Union and the ways in which they want to communicate with those institutions. And in this the Parliament has been working tirelessly. The Parliament, which remains at the forefront of technology, informs young people about how the institution works, the importance of the decisions it takes and how they affect their daily lives, through stories on Instagram, by releasing visually attractive content on Facebook and Twitter, posting educational videos on Youtube and by inviting speakers to talk about what Europe does for them, to become influencers. Nonetheless, we do not overlook those citizens who continue to use traditional media, such as television, although the younger generation is less attached to these methods of communication it is not completely indifferent to them either. This is why adding a European dimension to entertainment as well as to news platforms is vital. The EU is of concern to all of us, talking about the EU in different ways and using messages adapted to different sections of the population is in the interest of everyone. And that is where the regional and local aspect comes into play, essential for an EU founded on diversity. Rather than limiting debate to large cities, the EU institutions are now expanding their presence to smaller cities and rural areas. By taking the debate to the local level, the EU ensures that all citizens, regardless of where they live, can actively contribute to the ongoing debate on the future of Europe. The EU has known for a long time now that the best way to get closer to citizens is to give them reasons to believe in it, to show them how its policies translate into tangible results which positively affect their daily lives. To do so, the institutions should communicate in an easily accessible manner. The EU should leave technical terms aside and adopt everyday language. And when it comes to young people it should adapt to technology and to new narratives. But above all, the EU needs to listen to its citizens more by putting them at the heart of the debate. It is therefore essential to communicate with young people, especially those who see no benefit in being part of the EU, and who don’t see the point in voting. Not only are they our future they are already part of our present. Voting in European elections is what enables Europe to take decisions, to grow and to improve itself. Our aim is to make young people aware of this and of the importance of voting. Populists don’t need to make their case using disinformation (which I would refute – this is a typical “story” that should appear on Instagram as mentioned later in the piece). The EU is making a case all on its own as to why it is ineffectual – you only have to look at Italy, Spain, Greece, Austria, Poland, Hungary, Czech republic, Slovakia and, to a lesser extent, some of the Scandinavian countries, to see the disaffection, mainly induced by the euro which seems to only benefit Germany (who says now Germany isn’t ruling Europe?!). Even the French “populism” is growing, healthily abetted by Macron’s actions. Orban and co. are right. More power needs to be returned to the nation states – we only need a trading bloc, we don’t need the politics designed to create a United States of Europe. More Europe? More integration? God help us……! !